Everest Biotech | ARP American Research Products, Inc. Introducing Everest Biotech - Experts in antigen affinity purified goat polyclonal antibodies. Since 2000, Everest has been producing a catalog containing thousands of goat antibodies against a broad range of human, mouse and rat proteins of biomedical interest. Everest Biotech's commitment to quality and continuous improvement has been recognised with ISO 9001:2015 accreditation (Certificate number CA14829). The customers can be assured they will receive high quality product and excellent customer service. Tested by peptide ELISA and western blot. Fully supported by PhD qualified technical support. Covered by our industry leading "100% Satisfaction Guarantee". Our catalog antibodies work in your lab or your money back. Sign up below to receive a one time 10% off any product discount code. An ARP Customer Service Representative is happy to help! 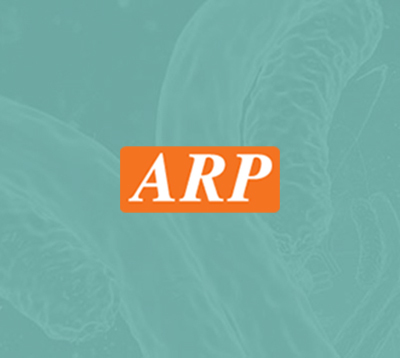 ARP's monthly newsletter is full of content to help you stay on the cutting edge of scientific research. © Copyright 2018 ARP American Research Products, Inc.